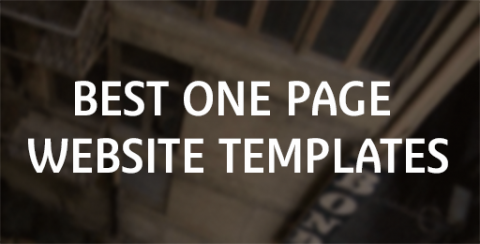 Do away with those lengthy installations on adding the quintessential one page website templates to any concerned website. 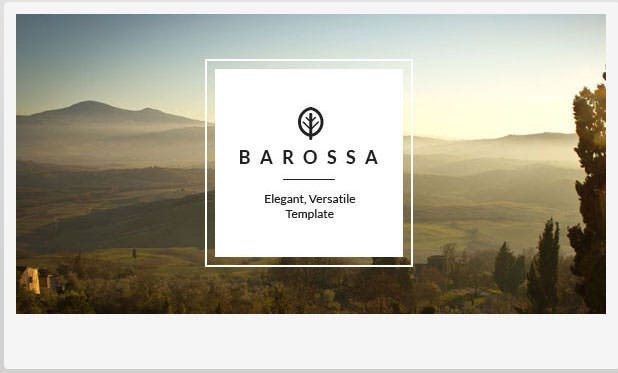 These templates come in real handy for the professionals as they help kickstart the online projects with enhanced seamlessness. Selecting the best option can often get tricky as myriad features are associated with each and thus enumerating the topmost alternatives helps minimize the time you need to invest to find out the best ones. 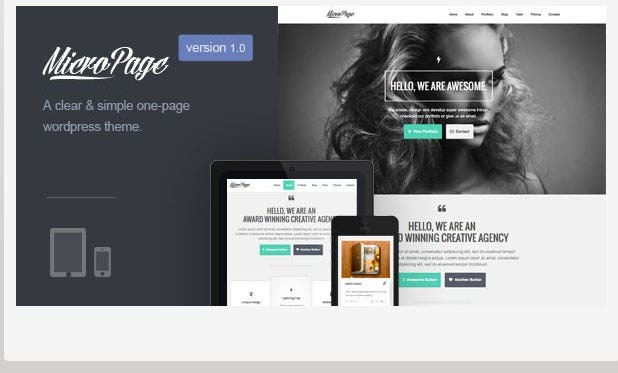 Here are the top rated ne page website templates for you. 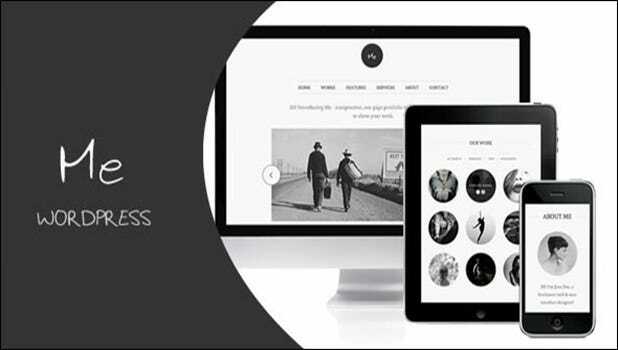 This theme helps amalgamate the images with professional insights whereas the sleek user interface facilitates better installation and high end resourcefulness. 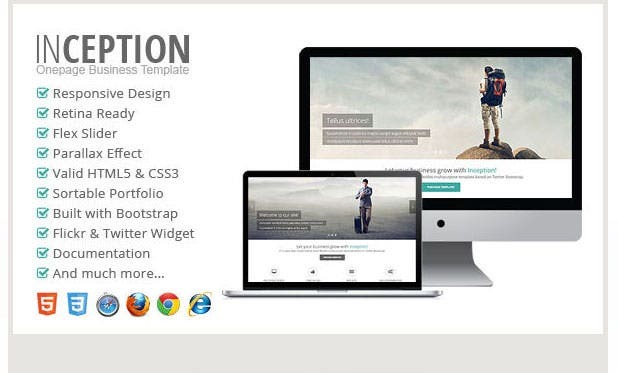 A theme which is extremely responsive and comes along with added flexibility with easy installations and cross browser compatibility for the professionals. A corporate theme which is characterized by extreme responsiveness alongside multiple navigation styles and color selections for the designers to implement! 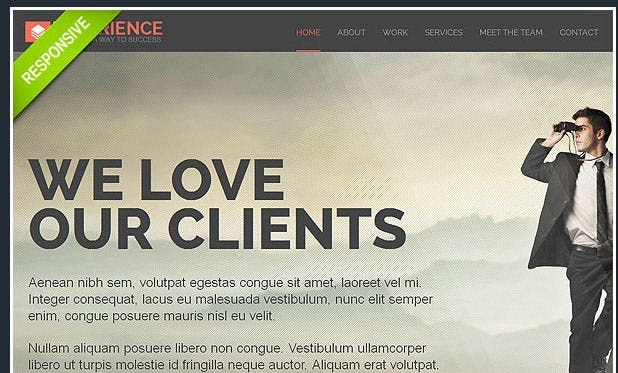 This one page website template comes with multiple coloring options and a seamless auto install feature which come in real handy for the professionals. A retina ready design scheme is included whereas a mobile ready interface provides the required set of features to the designers alongside custom thumb cropping. 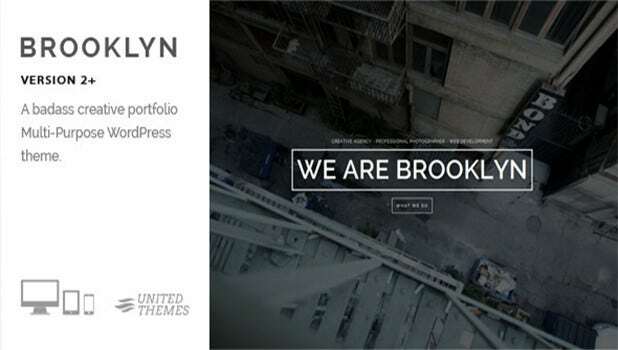 This theme is compatible with the latest WordPress versions followed by the full screen slideshow and integrated lightbox for portfolio postings. A retina responsive theme which also includes advanced settings and extensive styling options in addition to 12 predefined color schemes! 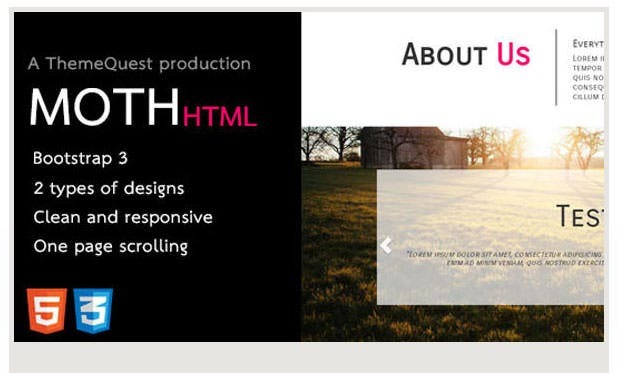 A theme which is HTML5 enabled and also includes unlimited featured fonts into the scheme of things followed by an advanced page builder. An iOS inspired theme which is compatible with multiple platforms with 5 home page versions available in addition to a fully responsive interface. 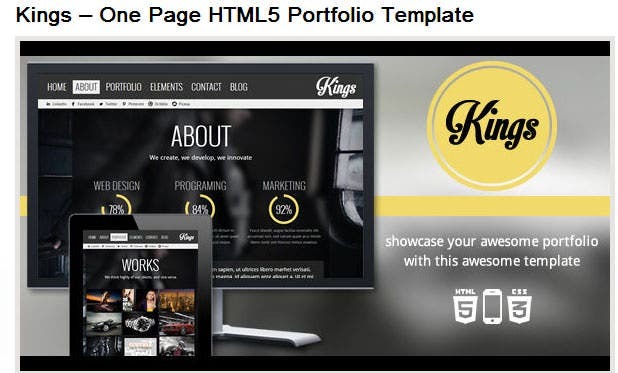 This theme provides a full homepage control with portfolio management schemes added alongside a broad range of exciting widgets and multilingual support. This theme includes a fully responsive layout alongside a retina ready design in addition to the exemplary shortcodes and unlimited Google fonts. 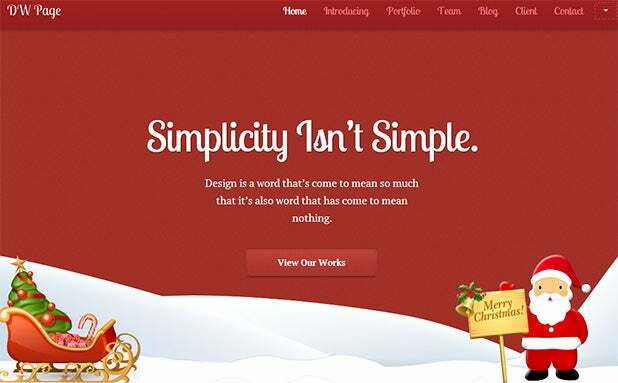 A simple yet utilitarian theme which includes reusable web templates as the working base followed by 12 home page variations for the designers. 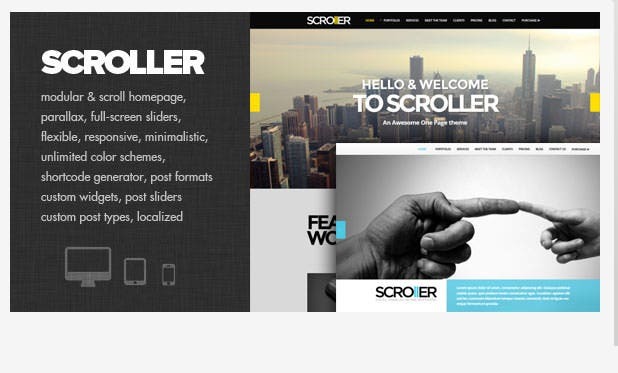 A modern theme which includes a highly responsive design in addition to infinite scrolling, exciting popups and modern sliders for content presentation! A sleek theme which provides a multipurpose approach on including full homepage control and mobile friendly interface into the scheme of things! An elegant theme which showcases a full gamut with retina ready icons and the Ajax empowered portfolios for the designers to make use of. Parallax sections coupled with cute 3D sliders are available in addition to a highly responsive user interface and FontAwesome icons. 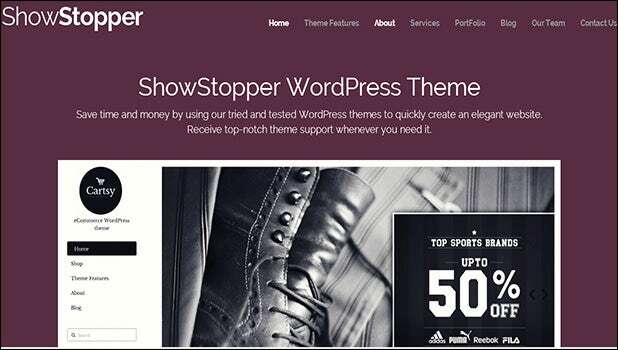 This theme has a built-in bootstrap which showcases multiple designs and a YouTube background for the enthusiasts in addition to the POS formats. 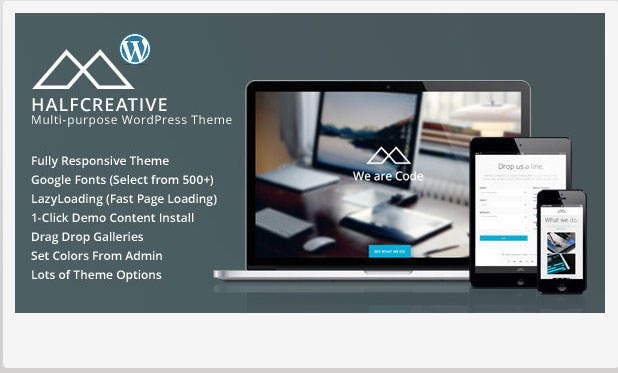 This theme is compatible with multiple wordpress versions and comes with an extensive Changelog for the professionals followed by online documentation. 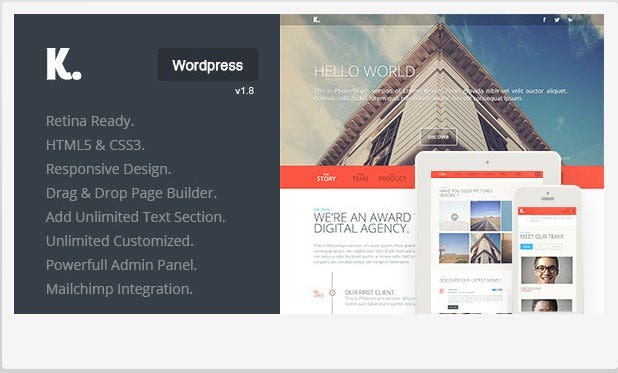 A responsive wordpress theme which showcases online video tutorials in addition to a well documented approach for the professionals to make use of. With this theme the users can customize their pages in addition to the filterable portfolio schemes and the included content package. 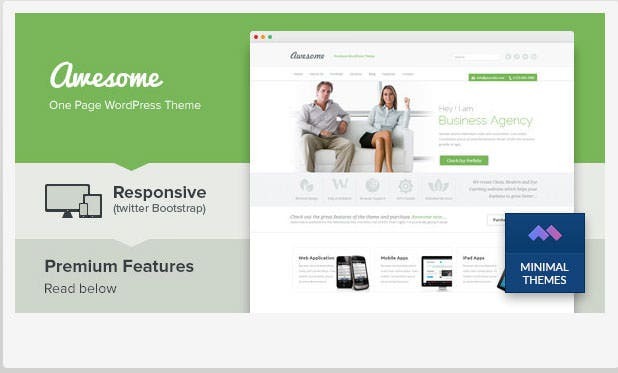 This theme features a responsive slide menu alongside a retina ready support and multiple shortcode editors for an enhanced viewing experience. A theme which includes advanced CSS3 features followed by the cross browser compatibility, detailed documentation and graphic PSDs into the scheme of things. 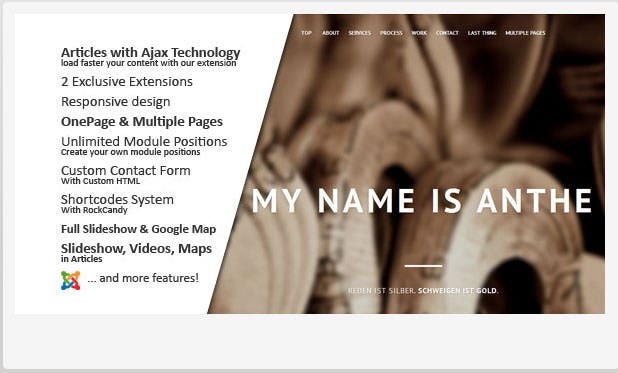 A single page theme which comes along with a layout builder and an advanced theme panel for the users in addition to the fully localized approach! An easily changeable background is included with this theme whereas the Vimeo support helps accentuate the resourcefulness of the same. A fresh theme with trendy features included in addition to the retina ready interface and the exclusive gallery sliders supporting flexible animations. This theme supports a fully responsive user interface with a cleaner design at its disposal followed by retina ready graphics and a filtered portfolio. 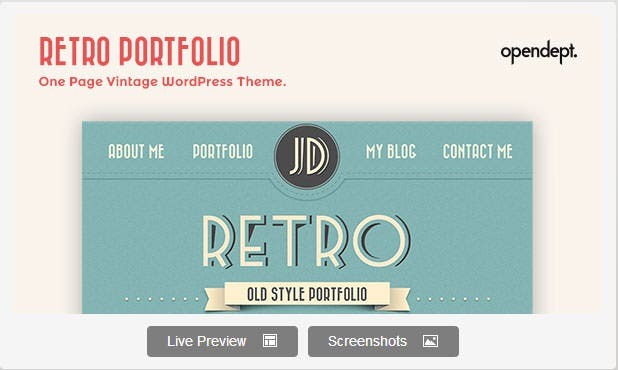 This theme helps create beautiful blogs with the special toggle effects included alongside the featured fonts and exciting customizable options. A clean theme which provides a responsive layout in addition to high end compatibility and attractive jQuery empowered sliders for the professionals. 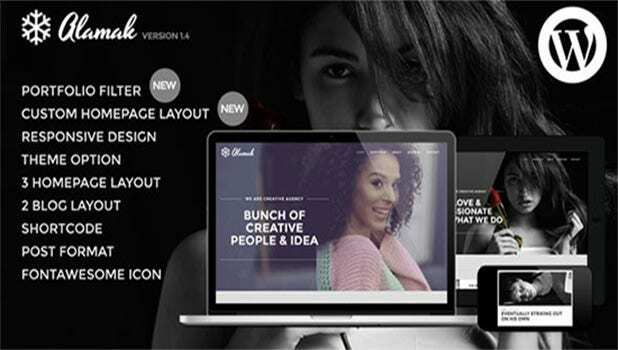 This stylish template provides a wide range of options in the form of full screen imagery and fancy scrolling effects for the enthusiastic designers. This theme sports an amazing page speed in addition to the adaptive Google analytics followed by the hybrid images technology. Page builders and the mobile ready interface add to the exciting range of features in addition to the lighting fast page loading option. This theme is packed with myriad features ranging from built-in headers to the custom auto playlist which come in as handy website tools. 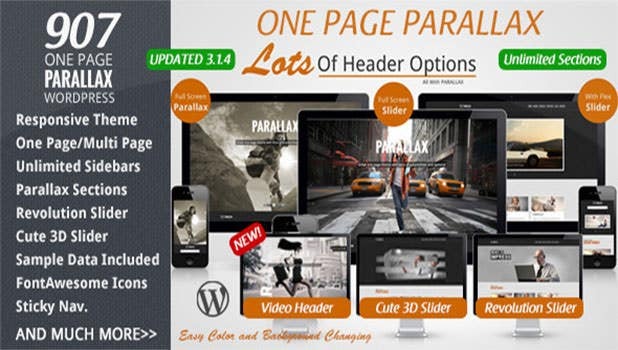 This theme provides the required twist for designing web pages with easy updates and one click demo import followed by the drag and drop slider management. A reusable theme which makes the best use of a responsive layout alongside the built-in bootstrap for the designers to make use of! 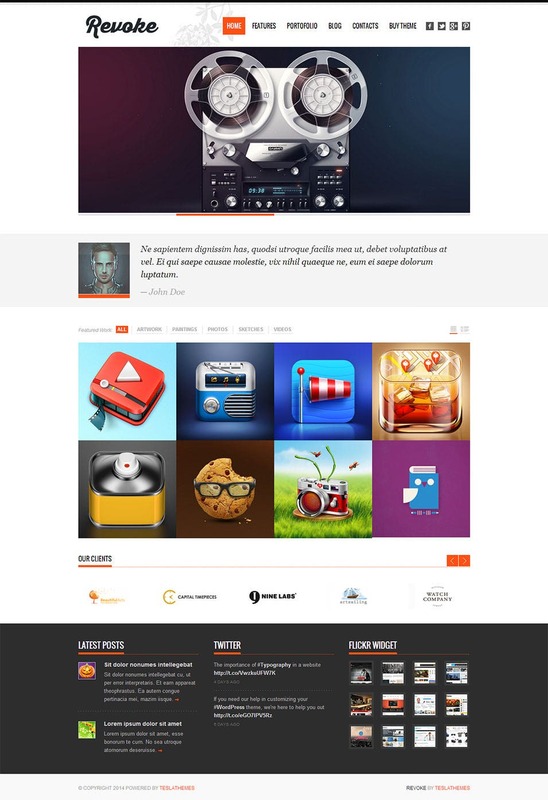 Two different demo versions are supported with this theme whereas the fully responsive design helps accentuate the entire page viewing experience. An isotope portfolio is supported with an exciting design that also includes unlimited colors and the shortcode generator as website tools. 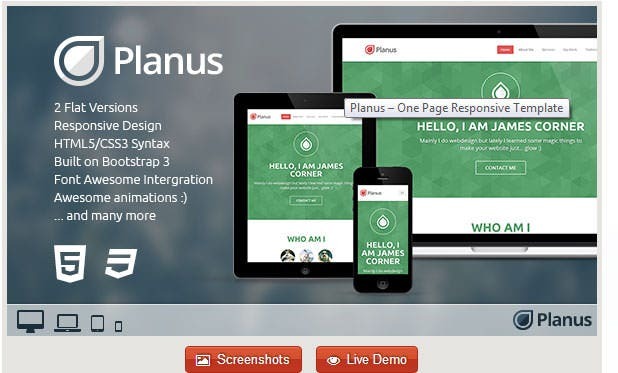 In comes a flexible theme which has exciting features included in the form of a retina ready design and the advanced drag and drop page builder. A visually stunning theme which combines all the necessary features including typographic inclusions and tablet compatibility with high end responsiveness! A sleek user interface is included whereas the touch swipe support helps redefine the page designs alongside the parallax and Fullscreen slider. A one page template which is characterized by unlimited color and background selections with a responsive design to back them up! This theme has an option for expanding the project preview with sticky header schemes associated in addition to the featured Google fonts. This theme comes ahead with localization support followed by multiple shortcodes and a highly advanced admin panel for the professionals. This theme comes along with high end responsiveness followed by a retina ready support for the professionals in addition to the background pattern control. An elegant and super clean interface which also sports multiple fonts and usable icons for the designers alongside a built-in bootstrap! Parallax effects are included in addition to a retina ready design which can be well customized on adding unlimited color options along. 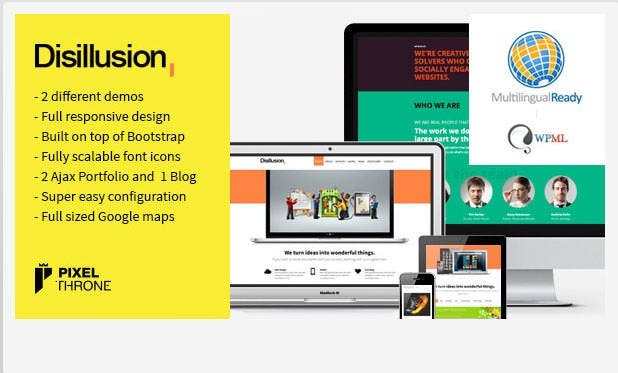 This is one responsive theme which also includes a highly interactive user interface in addition to the HTML and CSS coding options followed by exciting portfolio schemes. 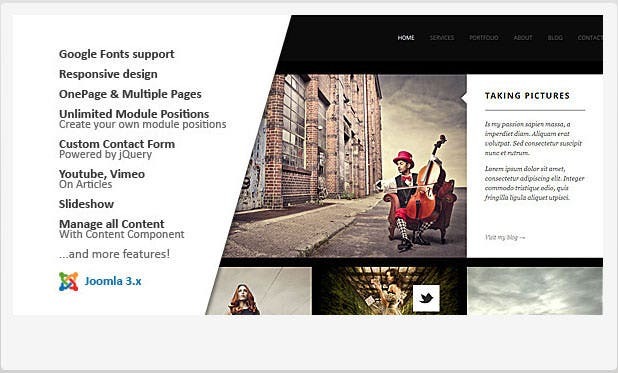 A one page theme which is extremely responsive and comes along with parallax effects and Vimeo video support added for the professionals.